Sometimes in your life, you just need to revisit those events in the past that have had a profound impact on your life. For me, one of those impactful times came on April 9, 1968, when I was watching Martin Luther King Jr.'s final services from Ebenezer Baptist Church. I couldn't, of course, understand that day the full impact of day until much later in my adult life. Reverend Ralph Abernathy, read the words from one of Dr. Martin Luther King Jr.'s sermons at the conclusion of the funeral service that turned out to be quite prophetic. In this sermon, King addressed the issue of choices made today by the black communities and how today's choices would impact future black generations. Dr. King wrote of our black communities choice of choosing a non-violence path versus choosing a violent path in solving the issues confronting our black communities. Dr. King forecasted in that speech read by Dr. Abernathy that dark day in black history the perils that afflict many of our communities today. It was almost like Martin Luther King Jr. had been given the gift of being allowed to move ahead in time for the purpose of forewarning us of wrong choices. What possessed Ralph Abernathy to choose that specific sermon to read from during Martin Luther King's final homecoming services? 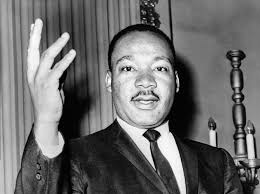 As a matter of fact, had Coretta Scott King not requested that a recording is played from Dr. Martin Luther King's, February 4, 1968, drum major sermon that has historically been noted as Dr. Martin Luther King's preaching his own eulogy. The words that Martin Luther King wrote and Ralph Abernathy spoke would've been more poignant. I mean King forecasted that if our black communities chose poorly our communities would end up destroying themselves. King forecasted that we would be turning the sword of violence against ourselves if we choose the wrong path. You really need to revisit listening to the words Ralph Abernathy as he read King asking our black communities choosing love over the words an eye for an eye, or a tooth for a tooth. Was it that day, in that Atlanta Georgia church that the concept of black love died? Was it the final nail that closed the coffin of Dr. Martin Luther King Jr. life that killed black love? Is that the reason that 51 years later after seeing the prophet of peace murdered and buried that black communities simply decided that love for love's sake was useless? Dr. Martin Luther King Jr. wanted us just to love somebody, anybody. He lived his life on the precipice believing that a man could love another man unconditionally based not on his skin color but on the content of that man's character. However, Martin Luther King Jr was murdered because of the color of his skin not the content of his character. Did that make it easier for black men to kill other black men because they cared not about either about color or character? 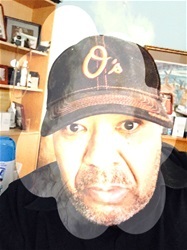 Unable to strike out against the true enemy of oppression did blacks simply learn to strike out against their own because the essence of black love died in our community when that bullet silenced the messenger of love and peace? I don't dare venture into this discussion any longer. I do know that each and every day in black communities across the United States the evidence that Dr. King words warned us about are evident. The multiple younger black generations that have followed since April 9, 1968, have been more and more violent towards each other than being blessed. We must find a way to rediscover the concept that Dr. Martin Luther King Jr. wanted each of us to internalize black love for ourselves and each other. The next book on coming to The Blackman Read Aloud Hour on Facebook Live is Frederick Douglass: Prophet of Freedom. The reading project that focuses on sharing the incredible history of our black ancestors. The 5 stars that are the keys to unlocking our black communities greatness that my fraternal organization, Iota Phi Theta Fraternity focuses and should be abundant in everyone's life are brotherhood, leadership, scholarship, citizenship, and fidelity. The purpose of my read-aloud program is centered around building foundations around these stars to promote progress in our black communities every day. It is my sincere desire to enhance the historical knowledge of every member of our black communities by offering these read alouds not only to elevate learning but also focus attention on building comprehending strategic black readers of all ages. Frederick Douglass was a self-taught black man who refused to be illiterate, refused to succumb to the cruelty of enslavement, and wanted to ensure freedom for every one of his black brothers and sisters. 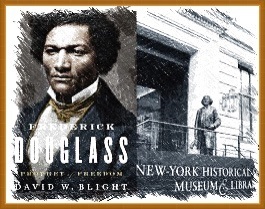 So join me on my reading journey as I read aloud Frederick Douglass: Prophet of Freedom, written by David Blight (2018). The Blackman Who Reads Aloud reflecting on the events that occurred on April 6, 1968, the murder of Bobby Hutton in Oakland California. We must never forget the violent injustice that permeated our black communities, communities that were havens for acts of criminality by agents of law enforcement agencies. Was Bobby Hutton killed because of his crimes or because of​ Bobby Hutton was a direct threat to the system of white supremacy​? ​Lil' Bobby Hutton was only 17 years old when the Oakland Police Department assassinated him on April 6, 1968. Bobby Hutton was killed merely two days after Dr. Martin Luther King Jr. was murdered by the U.S. government. Known for being the first known recruit of the Black Panther Party for Self-Defense, Bobby Hutton was a charismatic young black man who never really had the chance to fully emerge as the leader of the black freedom movement. Bobby Hutton served as the Party’s treasurer during his short tenure in the Black Panther Party.